For instance, the percentage of third-graders who reported having their own cellphone more than doubled from 19 percent in 2013 to 45 percent in 2017. Similar increases took place for fourth-graders and fifth-graders. About half of fourth-graders and 70 percent of fifth-graders went to school with a phone in 2017. Parents often cite the ability to easily reach their child as the major advantage of giving them a device, which they view as a safety issue. “Stranger danger” and sexual predators are often the first risks that occur to parents. Some public schools are adopting policies that limit personal contact between students and teachers. 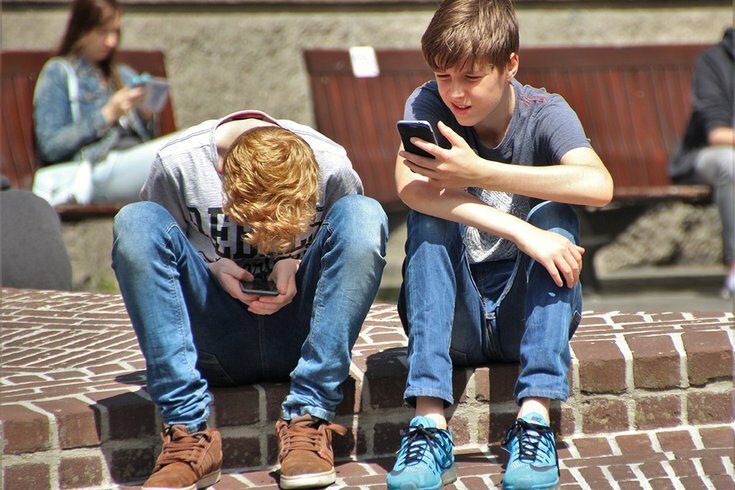 But bullying and cyberbullying are more common concerns, and in my 2017 research, I found that that giving a young child a cellphone increases the likelihood that the child will either become a victim of bullying or a bully themselves. This study of approximately 4,500 elementary school children in the U.S. found that having a cellphone in elementary school was associated with being involved with both bullying and cyberbullying, both as a bully and as a bully/victim. A “bully/victim” is a child who is, at different times, both a bully and a victim of bullying. The research found that while more than half of third-grade bullies carried cellphones, only 35 percent of children who were uninvolved in bullying did. Even more dramatically, three-quarters of third-grade cyberbullies carried cellphones, compared to only 37 percent of third-graders uninvolved in cyberbullying. Results were similar, but a little weaker, for fourth- and fifth-graders. It may be that results were strongest among the youngest children because of their relatively more limited ability to understand how communications works in a digital setting. For example, in my field work at the Massachusetts Aggression Reduction Center, I’ve learned that teenagers are wary of emotions escalating quickly online, realizing that such emotions can lead to fights and bullying. However, younger children typically haven’t yet learned this lesson. It was this gulf that motivated me, with a colleague, to create a children’s guide to getting their first cellphone. Kids can learn to use cellphones safely, and there are practical steps that parents can take to minimize their young child’s odds of involvement in bullying and cyberbullying, along with cellphone practices that can help ensure the overall well-being of their child. The phone is not your child’s – it’s yours. Thus, you always have the right to look at it. By checking your child’s phone, you may detect messages or posts that can suggest involvement in bullying or cyberbullying. A 2012 MacAfee study found that half of kids changed their online behavior if they believed their parents were checking. A 2014 study from researchers at McGill University found that family dinners helped protect kids from bullying. Dinnertime can be a time to connect emotionally, even when no conversations of deep importance take place. It can also be a time to discuss challenges and difficulties, and to debate solutions and strategies, with input from the people who love you. Unfortunately, family dinners can be easily interrupted by notifications or messaging from cellphones. For that reason, a “no devices” rule at the dinner table can help promote family connections that are protective against bullying. Listening to music can be OK, but watching videos and TV shows or playing games shouldn’t happen while homework is being completed. Studies that look at multi-tasking agree that it degrades memory, learning and cognitive performance. It’s been well documented that bright screens right before bed can delay or interrupt sleep patterns. Sleep problems, in turn, have been linked to becoming involved in bullying. To promote healthy sleep and reduce the odds of bullying, help your child practice good sleep preparation habits by putting away digital devices an hour before bedtime. If they want to read from their device, use an app that has a UVB filter or dim and “flip” the screen to a black background. To help your child stay asleep, devices should be kept outside the bedroom overnight. Even if your child intends to sleep, a buzzing sound or vibration can wake him or her up. It can represent a strong temptation to send messages, chat or play games. Carrying a cellphone isn’t a right – it’s a privilege. As a parent, encourage responsible cellphone use by linking digital privileges with responsibilities. Show children how to budget internet time with apps like unGlue. Teach your kids that discussing social problems is part of being mature enough to carry a cellphone. And consider having your kids pitch in around the house to “earn” their digital privileges.